The Modern Cocktail blends scotch whiskey with sloe gin, lemon juice, anisette and more. It sounds like a weird combination, and it is. It’s one of those drinks where your mind just can’t make sense of what your taste buds are telling it. And so you have to have another. The sloe gin gives it fruity, berry notes. The scotch adds smoky oak notes. These two things shouldn’t go together, right? So it adds a touch of lemon juice to counter the sweetness of the sloe gin. And then a little sugar to counter the tartness of the lemon. And then some anisette and orange bitters to… never mind. I have no idea how this drink works. 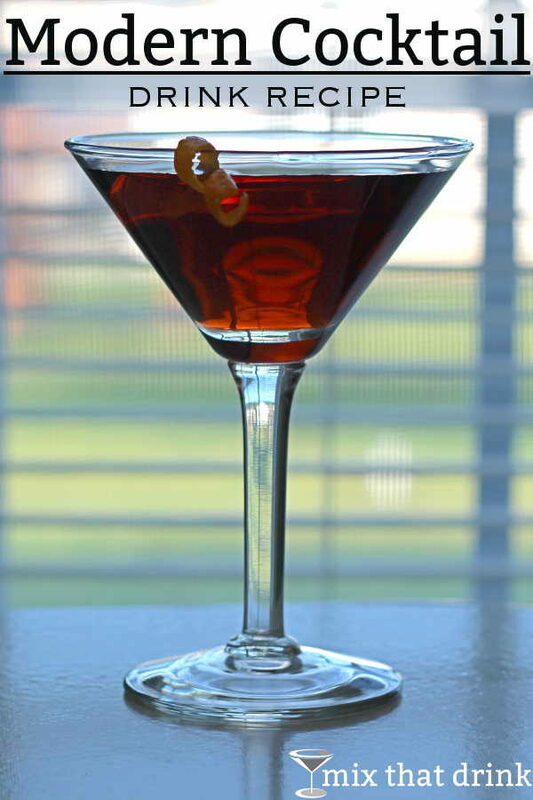 It reminds me of the Hanky Panky, another drink that doesn’t particularly make sense but is strangely fascinating. It’s hard to describe the flavor of either of these drinks. You end up saying: you just have to try it. And try it you should, because it’s just plain good. The taste is really something else. Maybe it hits a perfect balance between sweet, tart, smoky, and sharp. The Modern Cocktail is like nothing you've ever tasted. It blends scotch with sloe gin, lemon, anisette and more. You just have to try it, because the flavor is so hard to describe. But it's very good. Garnish with a maraschino cherry or orange twist. Whoa, that’s different. Hmm. Yeah. I like it.